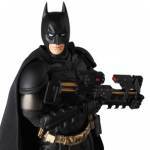 Last week, a few new photos and details were released for a new MAFEX Batman Version 3.0 from The Dark Knight Rises were released by Medicom. 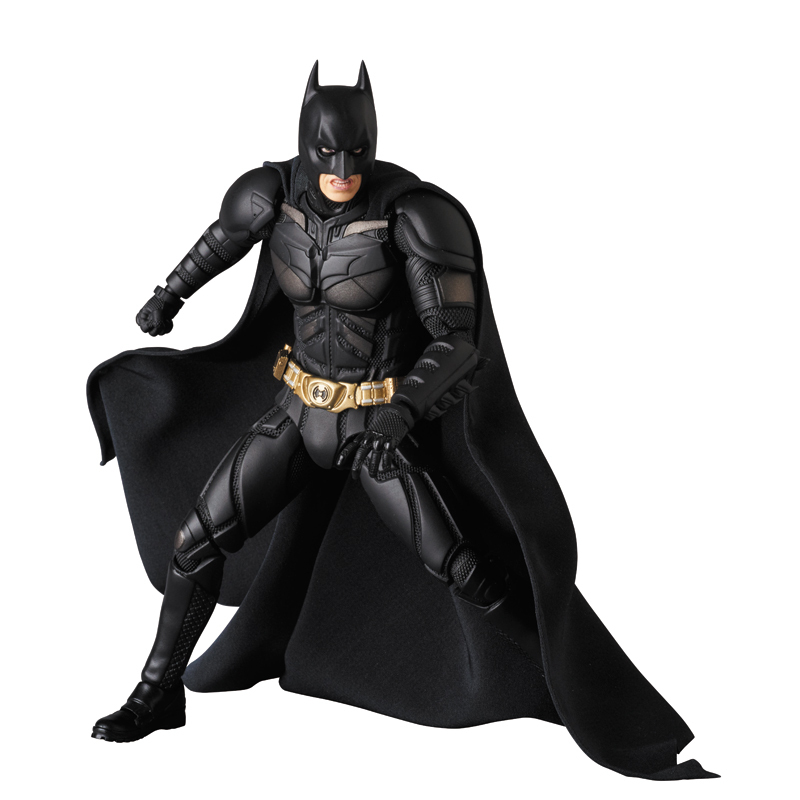 The new figure is the second update for the Dark Knight. The official product page has been posted by Medicom. With the new photos, we can now see all of the interchangeable parts and accessories that will be included. 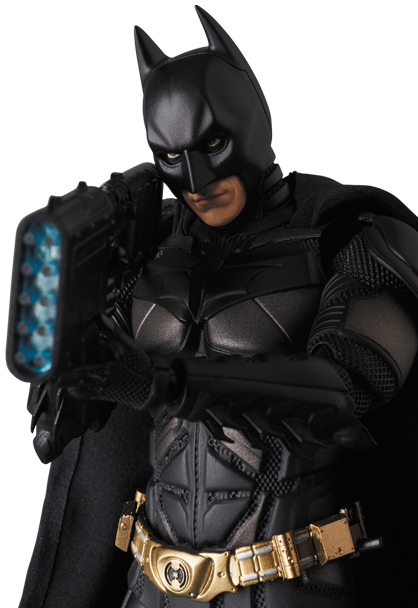 Batman will come with three interchangeable portrait, including one with his bat sonar. 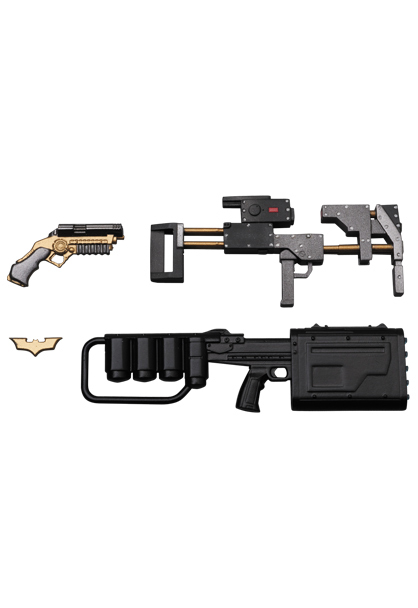 Also included are a few interchangeable hands, an EMP Rifle, a grapple gun, a batarang and a sticky bomb gun. The figure is not yet available to pre-order. It is scheduled for release in March 2018. It will be priced at 6,800 Yen (about $61 USD). You can see all of the new photos after the jump. 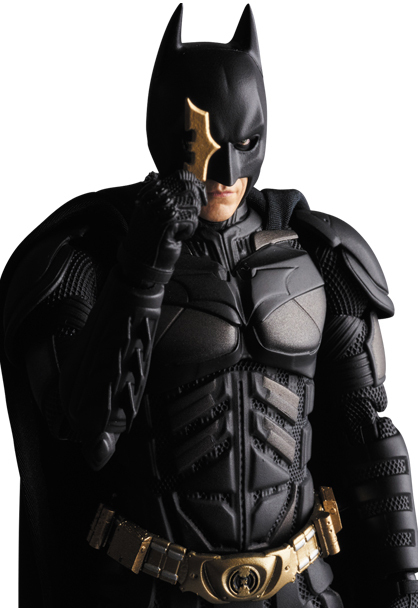 This makes me realize I don't need the unmasked head because one with the bat-sonar vision white eyes is so much better. That being said, the price is steep considering this is a third go-round. 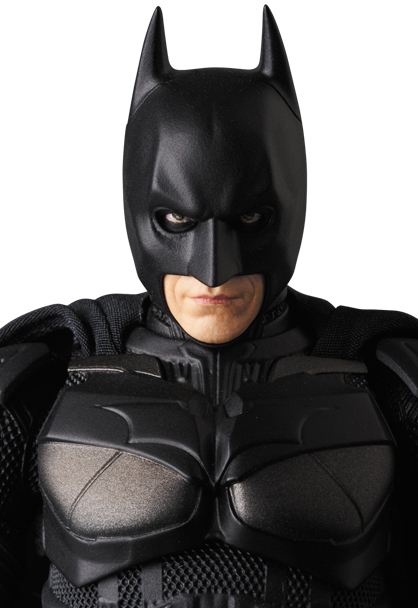 The cape also looks so much better for this version of Batman. If they don't go heavy on the lips, they will have a great figure that I might buy. Just lightly touch on them, if at all. They need to learn the lesson from the previous ones and the Dawn of Justice Superman. They're just taking the biscuit now. Version 3.0! 2.0 does me just fine as I've got it in a pose that flaunts all its best features and has a real presence amongst my other figures. 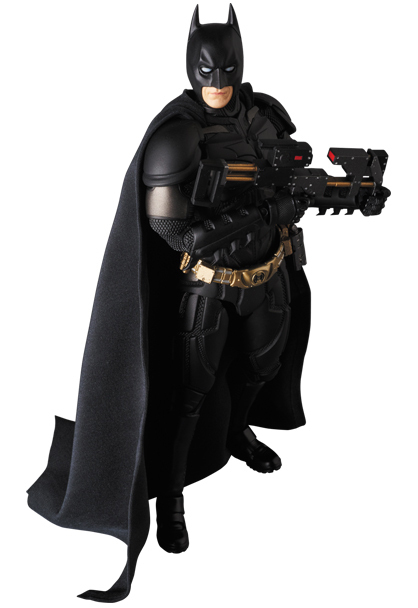 Also, simply too much time has passed for me to want any more Nolan Batmans, especially now there's Batflecks on the market.. Im getting the Bane of course but unless they do a Jim Gordon or Alfred then that'll be my Nolan collection done. I'd love to see Mafex do some Jedi with cloth capes or a General Greivous or destroyer droids. I'm sure people would want at least two each of those. 6600y will translate to $90+ by the time domestic shops offer them. 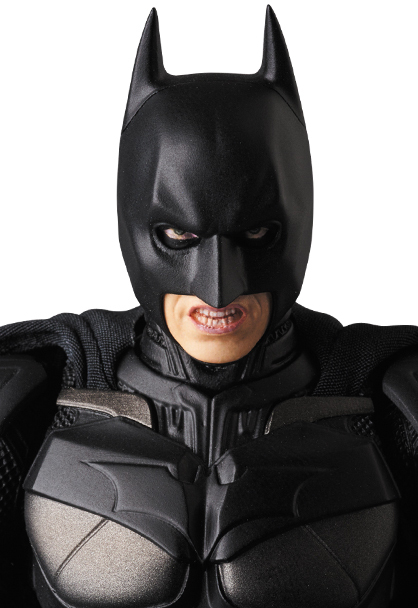 Go to hell, Medicom. This turning out to be a must buy for me , Mafex seem to be improving , just wish for either licence line ups , would love a justice league, and when it comes out , from dc's line up of films is a green lantern! So there's nothing different about it, it's just a Previews Exclusive now?